Puducherry Chief Minister V Narayanasamy today said the territorial government was opposed to the Centre's move to set up a new panel replacing UGC. Puducherry Chief Minister V Narayanasamy today said the territorial government was opposed to the Centre's move to set up a new panel replacing the University Grants Commission (UGC). Replying to a question raised by the Leader of the Opposition Anbalagan (AIADMK) during zero hour in the Assembly, the Chief Minister said,"We will not accept the plan to set up the 'Higher Education Commission of India' in the place of the UGC." "The UGC has distinguished itself well as an independent body helping universities and the colleges. There is no need for any new panel," he said, adding that a detailed letter would be forwarded to the Union HRD Ministry in this regard. Narayanasamy said the Centre has been depriving the States of their rights by some measure or the other. "The UGC has been functioning well as an independent authority and the Centre cannot intervene in its functioning. The proposed Higher Education Commission would sanction funds according to the whims and fancies of the Centre, so the territorial government is opposed to the proposal," the Chief Minister noted. Education Minister R Kamalakannan also said the territorial government would never accept any move to replace the UGC. We oppose it," he said. 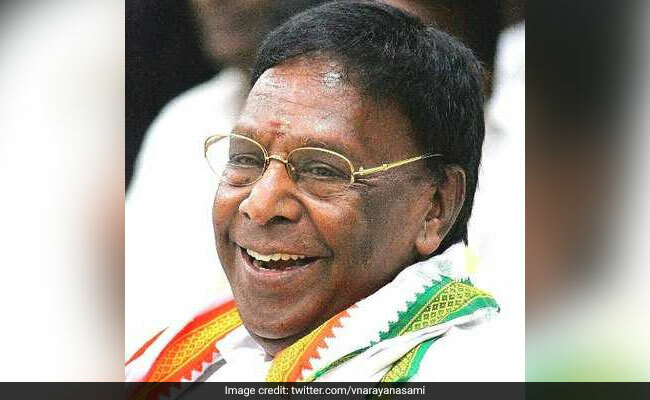 Earlier, Narayanasamy said his government would bring during the next Assembly session a Bill allotting 50 per cent of seats in private medical colleges here for local students. This led to the AIADMK staging a walkout, as the party,legislator Anbalagan said any delay in the tabling of the Bill would only aggravate sufferings of the students, and took strong exception to the Chief Minister's statement that the Bill would be be tabled only in the next session. "We will bring in the Bill in the next session of the House as Puducherry being a Union Territory has to fulfil certain practical formalities before a legislation is enacted," the Chief Minister said. When the Chief Minister said the Bill could be tabled only in the next session, all the four AIADMK legislator stopped out of the house. Members of the ruling Congress and its alliance partner,the DMK, and the opposition AIADMK and AINRC also insisted during the debate on the call attention motion that unless there is a legislation in place the private medical colleges could not be directed to ensure availability of seats to local students. The Chief Minister announced that the Bill would allot the 50 per cent quota of undergraduate and postgraduate seats for local students, after legislators highlighted the hardship faced by the students in getting the assured quota. Raising the issue through a call attention motion, Anbalagan said the draft Bill should be prepared first and it would have to get the nod of the Centre before becoming a legislation. The Human Resource Development (HRD) Ministry had announced its decision to replace the UGC with the Higher Education Commission of India (HECI) by repealing the UGC Act,1951. According to a draft, which has been placed in the public domain by the ministry to seek feedback from the stakeholders,the new commission will solely focus on academic matters and monetary grants would be under the purview of the ministry.